”I’ll pass on cake, but an extra scoop of ice cream, please” has always been Ade’s motto, a red headed 10 year old. Her love for ice cream sparked an interest to make her own. Ade’s first attempt was the classic vanilla. It turned out so creamy and delicious that she wanted to share it with you! Just when we thought Ade’s Ice cream couldn’t get any better, we topped it with Ella’s Granola. That’s where Ade’s older sister comes into the picture. 12 year old Ella has turned a family granola recipe into her own. She uses all organic ingredients and Vermont Maple syrup (if not our own, it is made by family!). Flax seeds, Chia seeds, Sunflower seeds, almond slices, shredded coconut are only a few of the ingredients in this tasty, wheat-free, Granola. Ella’s Granola will be available to enjoy with your ice cream or packaged to take home with you to enjoy. 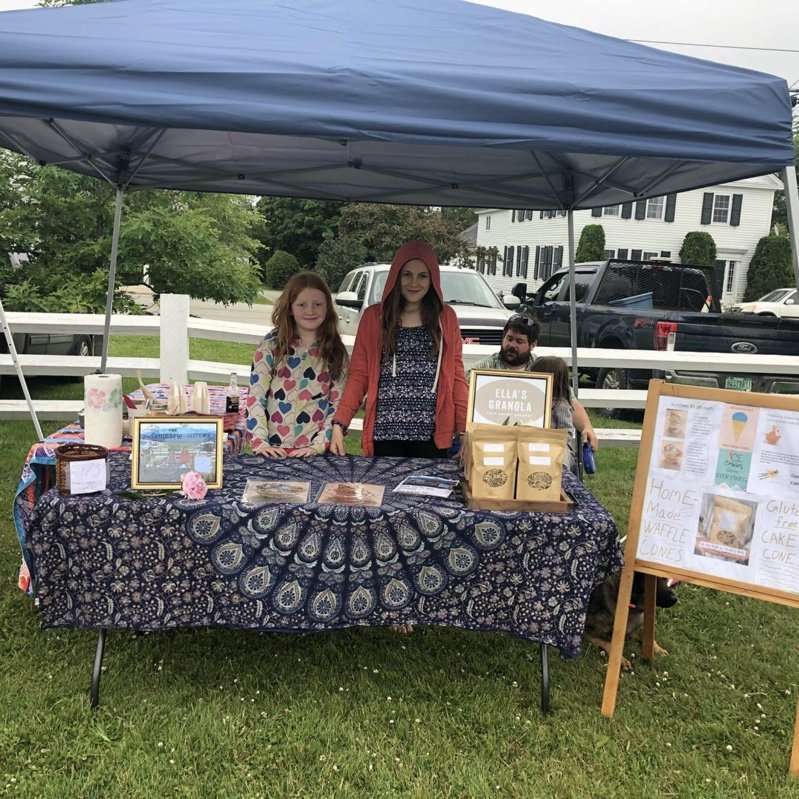 Family is very important to us and so is offering foods to other families and our community that are made with the best of ingredients and from local sources whenever possible. Ade’s ice cream is made with Butterworks Farm heavy cream, Sweet Rowen Farmstead’s whole milk and our own chickens provide the eggs! Every weekend at the market we will be serving 2 flavors of ice cream. One always being the Classic Vanilla and one being a special flavor in season (strawberry, blueberry, mint, pumpkin etc.) Also, we will have our 2 sundae options. 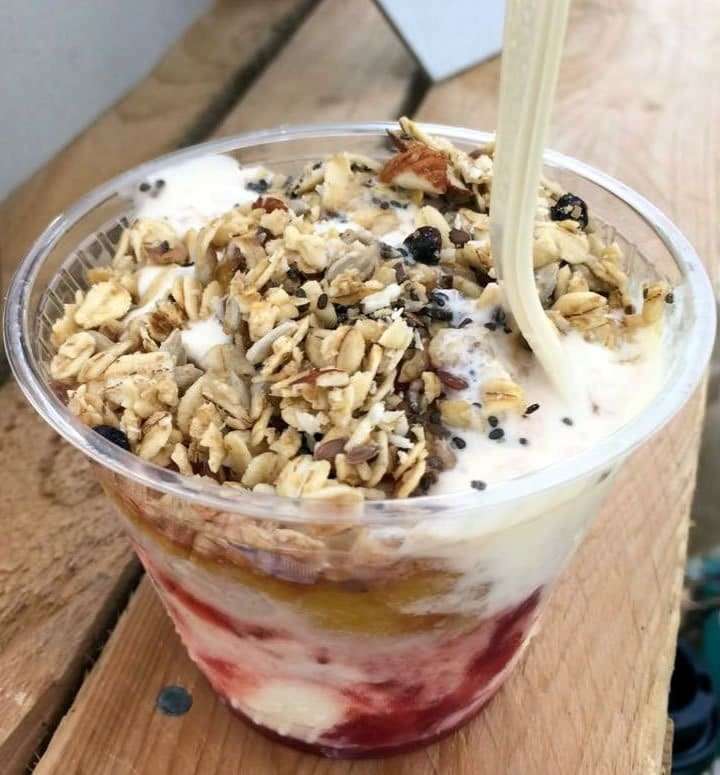 #1 “THE VERMONSTER” is a scoop of Vanilla ice cream drizzled with Vermont maple syrup and topped with Ella’s Granola (yumm!) #2 “THE N.E.K” (a gillespie family favorite concoction!) 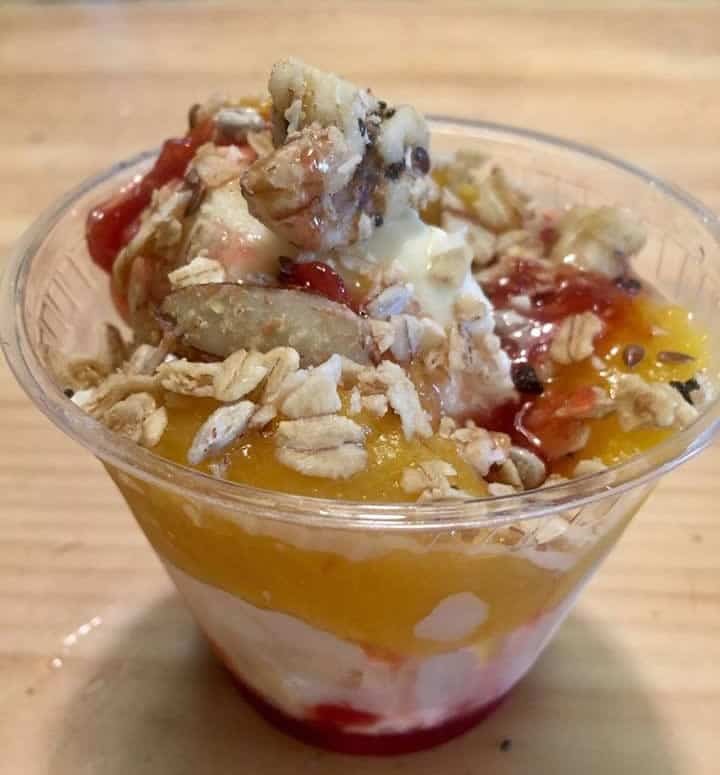 is a scoop of Vanilla ice cream drizzled with homemade and local strawberry sauce, 3 slices of home canned PA Peaches and topped with Ella’s Granola. These sundae options are so tasty, you may find yourself ordering one of each! Something to look forward to if not this market season definitely next, are the girls’ homemade waffle cones! There has been talk about dipping some of the cones in chocolate and white chocolate and rolling in nuts and coconut! We will keep you posted on when you can expect to entice your taste buds with that! 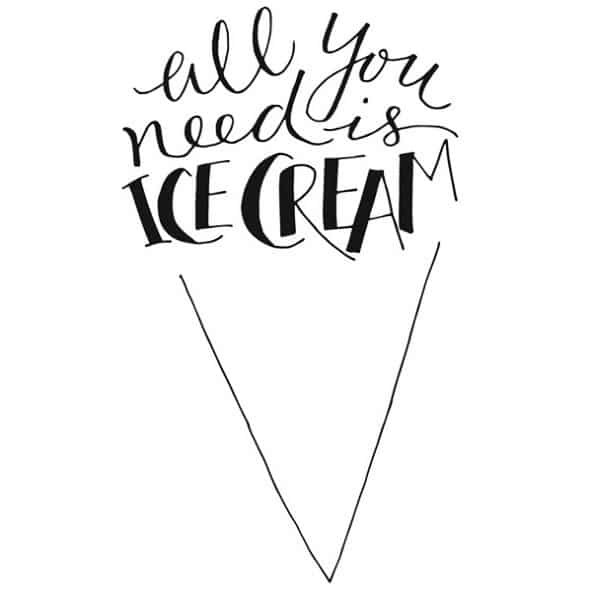 Also in the works is a dairy free ice cream option and gluten-free homemade waffle cones! We want to be able to make everyone happy!